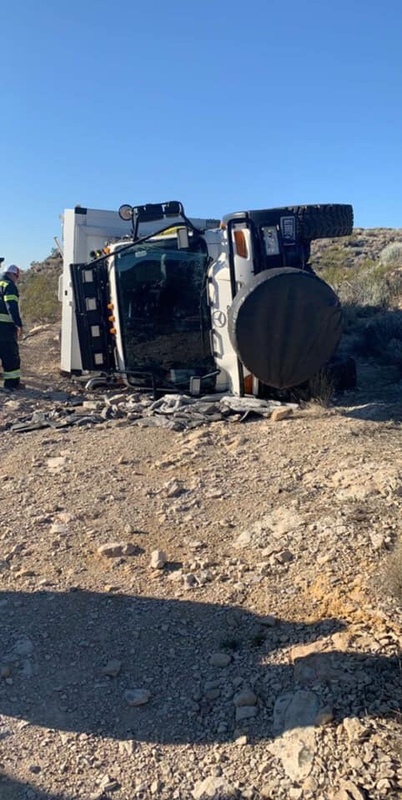 About two weeks ago, we reported on a Unimog which had unfortunately been flopped in Big Bend National Park, forcing a closure of Old Ore Road. You can read about it here. 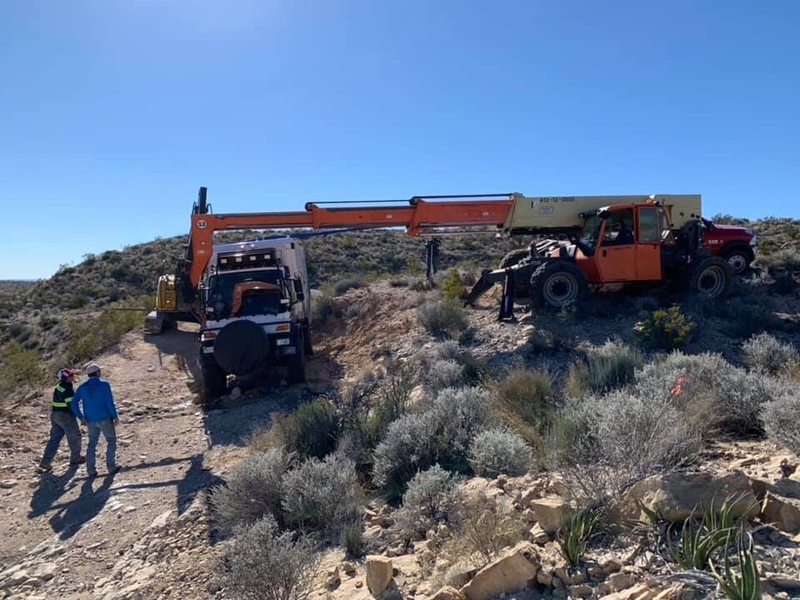 With the huge increase in park traffic for the holiday season we knew it was only a matter of time before they’d bring heavy equipment in to extract this beast, and now it appears they have. 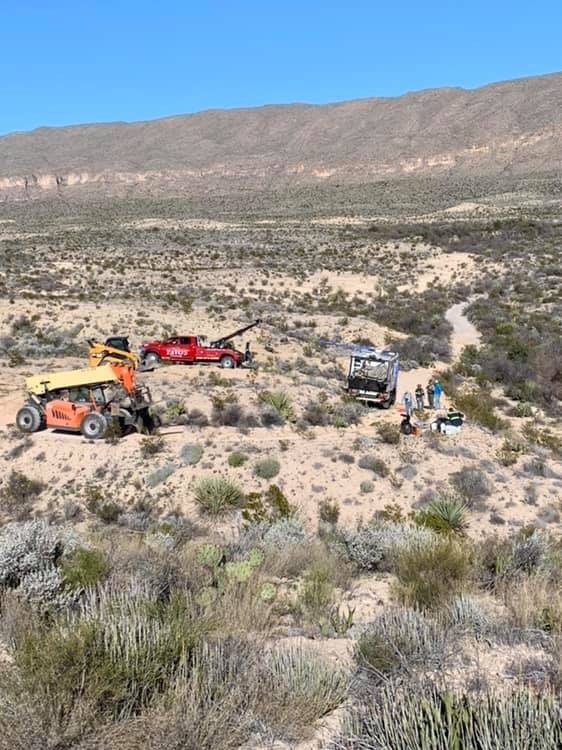 Earlier today, we spotted a post from Tavo’s towing company showing a commercial wrecker, an excavator or fork lift, and a front end loader making a unified effort to right and recover the Global Expedition Vehicle. 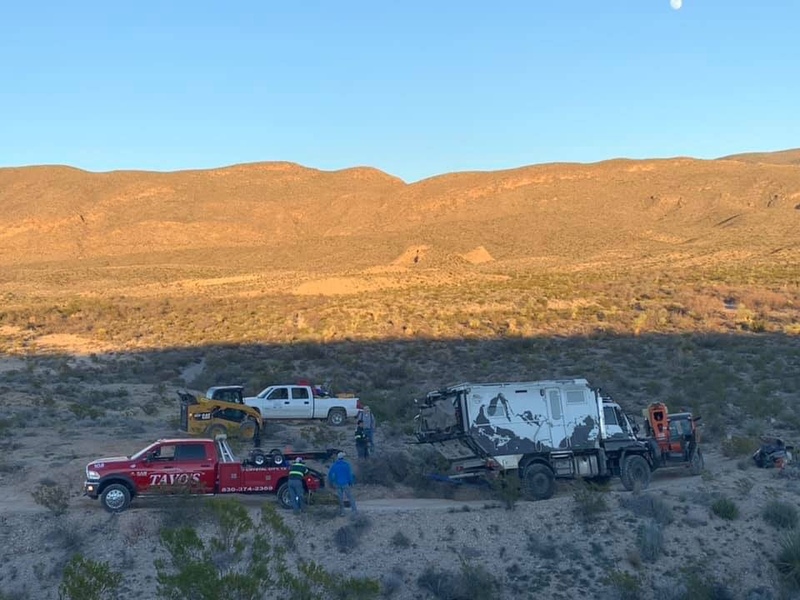 From the looks of it, everything worked out, which means it is probably on a very slow roll back out of the park behind the tow truck. 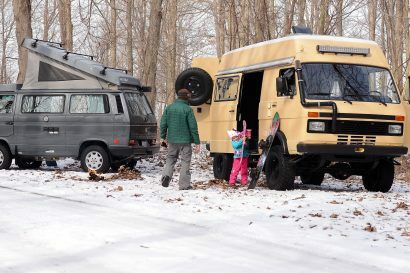 This is great news for the owner, but also a big relief for all of us heading to the park for the holidays. 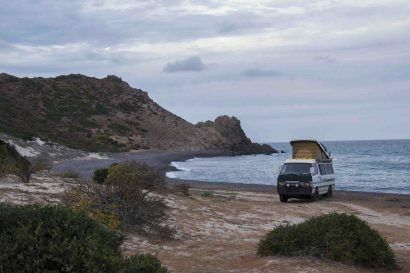 Hopefully, the owner will get the truck repaired and back out on adventures soon, this time with some valuable lessons learned under his belt. How did he manage to go over there? It looks pretty tame. 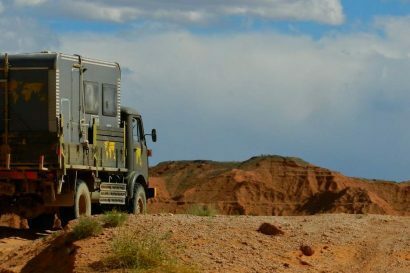 When do we see an article on the first expedition boomlift self-recovery vehicle?